Clarinda Harris is one of our featured poets in the Summer 2017 issue. She has graciously allowed us to reprint her poem here. bringing me a pretty wineglass full of milk. of water the sorcerer’s apprentice set in motion. I remember the flood. I forget what stopped it. who lilted iambic pentameter even in a pub. In the din of glass on glass on glass on glass. As well as being the longtime publisher of BrickHouse Books, Inc., Maryland’s oldest literary press, Clarinda Harriss is a professor emerita of Towson University. Her published books include two academic books (one of which is a co-authored translation of the medieval poem “The Pearl”), five poetry collections, and one short story collection. She also co-edited with poet Moira Egan Hot Sonnets; An Anthology. The LPR staff is pleased to welcome our new poetry reader and my friend, Kyle Graber. I met Kyle my sophomore year of college, and amidst many of our similar interests, we found that poetry provided us with a common bond. Over the years, I’ve asked him to edit many of my poems, and here he shares his trials and errors of writing poetry in college. We look forward to his insight and input on the LPR team. Welcome, Kyle. To forgive, or merely to make sense of our younger selves from the perspective of our currently occupied selves, can be very hard work. When we stumble upon an impressive, but inept drawing from childhood, we laugh, maybe even get a little sentimental. But I challenge anyone to revisit a poem written at age eighteen, three years later, and try to find that kind of inability adorable. For most people, the experience will be disturbing and maybe a little embarrassing. When I look back at the poems I wrote as an 18-year-old freshman, I’m acutely aware of how different a person and, invariably, a writer I was. For example, I used to write much more than I read, much more. Sometimes I’d even watch people recite their poems on Youtube and call that reading. I also took no issue with length — excepting the work of others –which might be indicative of a belief that everything and anything that I wrote was fundamentally pretty good. Naturally, I wasn’t big on revision, though one can name any number of admirable writers who’d claim not to be either. But what really matters is, from then to now, I didn’t possess anything you could call doubt. It wasn’t until late in my freshman year that I was introduced to a little emotion called shame. Along with a friend, I attended my first poetry workshop — which, as it turned out, was a casual one, facilitated by a senior, Noah. As a kind of parody of fraternal initiation, Noah joked that “the new kid” would be the first person work- shopped in the group. (But then, how much of a joke could it have really been, seeing as I was, in fact, made to go first?) I read my poem and received a couple comments of timid praise. Then, it was Noah’s turn. He spoke disinterestedly and proceeded to all but instruct me to re-think my personality, publically, no less. There was even a point, toward the end, when my work actually got him reflecting on his younger self. What’s funny is that, aside from being a senior, Noah didn’t even have any intimidating credentials. He was just a guy who was openly unappreciative of my work. But since I had a hot streak of confidence, I suppose it’s true that no one had yet challenged me so directly. This might explain why I took it as hard as I did, allowing doubt, for the first time in years, to seize the higher ground. I didn’t produce any writing for a long time. When I tried to, it always came out as unbearably self-conscious. Every poem I wrote was about how I was struggling to write an unselfconscious poem. Although, amidst all the turbulence, I stumbled into a genuinely fulfilling relationship with books. It was a novelty, really, to read a book just for the purpose of enjoyment. I’d previously conceived of reading to be a type of necessary training for writing, but it was around this time that I understood reading as a pleasure unto itself. Memorable books from that time are Rilke’s Letters to a Young Poet and Mary Oliver’s A Thousand Mornings, to name a couple. Both writers nurtured in me this kind of poetic value of focusing on the small things, even if, and especially when, what you really want to say is something big. Looking back on what I’ve learned, it’s the reading- comes-first mentality that I’m most grateful for developing. When I ask myself now, What’s more important to me, writing or reading? the question is at least tougher than it used to be. To enjoy a book, without constantly having to worry about my own writing, instills a kind of modesty that ultimately works in my favor when the time finally comes to write. If I have any advice for a young writer who’s about to enter their first workshop, it might be this: Prepare to be fractured. Or, even better, perhaps: Don’t prepare. Don’t prepare at all. Bio: Kyle Graber was born and raised in New York City and is currently studying psychology and English at Goucher College in Baltimore, Maryland. This post was originally published on June 1, 2011. It’s being re-shared as part of LPR’s 10th Anniversary. Earlier this month, the Centers for Disease Control and Prevention caught flak–and a great deal of attention–for running a disaster-preparedness campaign for the Zombie Apocalypse. If you are ready for Zombies, the CDC suggests, you are ready for anything. Tips for an ordinary disaster-preparedness kit follow. The CDC understands that zombies aren’t a real threat. What appears to be make believe is really metaphor. In this equation Zombies = life-altering disaster. Writer, illustrator and storyteller Vonnie Winslow Crist understands the relationship between make believe and metaphor. 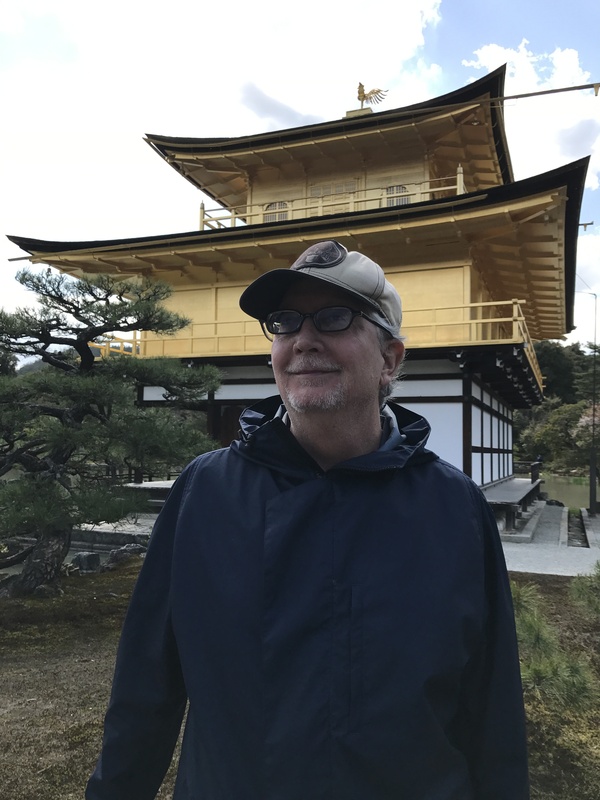 Crist, who recently published a book of fairy tales, poems and sketches, The Greener Forest, has a featured essay, “Fairies, Magic and Monsters,” in LPR’s Make Believe issue, scheduled to launch June 18. The essay looks at current and classic fantasy books and movies such as J.K. Rowling’s Harry Potter series. Crist traces their popularity back to somber messages safely sent through stories shared by the cooking fire. Crist is a master of metaphor. In The Greener Forest, her modern fairy tales stand out. These stories use traditional fairy tale tropes, artfully layered with modern concerns. In “Shoreside,” a vacation at the beach forces a wife and mother to reconsider the family life she has chosen. Hiromi watches her husband and children swim in the ocean but avoids the water herself. She is a ningyo (a mermaid of Japanese folklore) and fears that the pull of the water and the adventurous life it represents will break her family ties. When a child nearly drowns in the ocean, Hiromi must test those ties. “Tootsie’s Swamp Tours & Amusement Park” is set, with an oddball sense of just-the-right detail, at a rundown Southern destination beset by Spriggans. As Jess walks through the park with her uncle and husband, she realizes only she can see the ugly fairy creatures threatening her. Jess, who has recently lost a pregnancy, comes to believe the Spriggans caused her miscarriage. Her depression lifts as she takes control of her situation. A handful of original fairy tales set in “once upon a time” showcase Crist’s love of the genre. “Blood of the Swan” is a particularly beautiful quest story about a young man who must slay the swan maiden he loves in order to save his village. 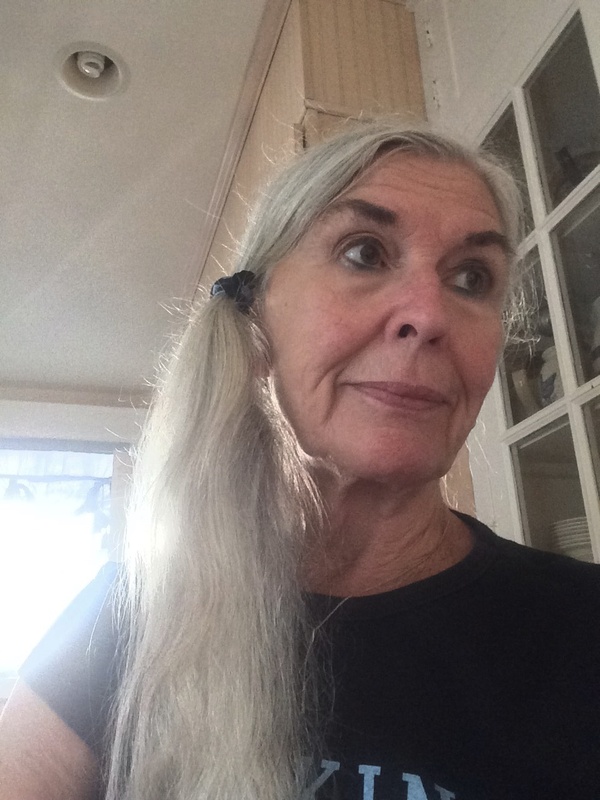 Vonnie Winslow Crist writes Harford’s Heart magazine’s “Writer’s Block” column, does illustrations for the Vegetarian Journal, co-edits The Gunpowder Review, contributes to Faerie Magazine and publishes the blog Whimsical Words. She has taught creative writing at Harford Community College and for the Maryland State Arts Council Arts in Education Program and regularly leads a writing workshop at Baltimore Science Fiction Society’s Balticon. Her fiction has appeared in publications such as Tales of the Talisman, Macabre Magazine (England), First Word Bulletin (Spain) and Great Writers Great Stories: Writers from Maryland, Virginia, and Washington, D.C. Her poetry has appeared in publications such as Loch Raven Review, Champagne Shivers and EMG-Zine. She is author-illustrator of Leprechaun Cake & Other Tales (children’s book), Essential Fables (poetry) and River of Stars (poetry) and co-editor of Lower Than the Angels: Science Fact, Science Fiction & Fantasy and Through a Glass Darkly: An Anthology of Mystery, Gothic Horror & Dark Fantasy. She has received a Maryland State Arts Council Individual Artist Award and placed first in the 2007 Maryland National League of American Pen Women poetry contest. This post was originally published on June 11, 2013. Under my great-grandma Coley’s ornate dining room table, I made the first make believe world that I can remember. The table’s four thick legs splayed out from a center pole and ended in wooden lions’ paws clutching wooden balls. Whenever it rained or it was too hot in the Shenandoah Mountains to play outside her tiny house, I would retreat from the murmur of adult conversation into the dim, dusty world under the lace tablecloth. The swirling Persian rug–cut into the thick, rosy quarters of a pie by the table legs–became a house, with one separate room for my Breyer horses, one for the wooden chess pieces she let me play with, one for the ragged Barbies my brother tortured and another for the Kens. The dolls never cohabitated in my chaste make believe world. I was practicing, I suppose, play acting out a life that I might make come true one day, with rooms and animals and children and gardens. Make believe allows the players to try things out, to escape from the mundane or the horrible, to build a vision. And not just children engage in make believe. Adults indulge. And writers do it every day. 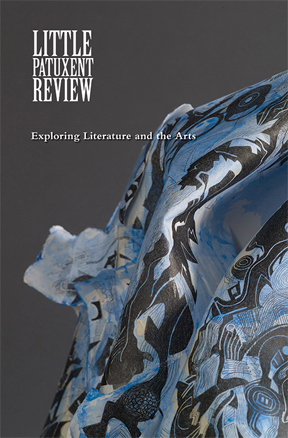 The new issue of the Little Patuxent Review carries through it the theme of make believe in ways both strange and wonderful. The Wright Brothers drink Manhattans in a bar and marvel at modern life (that’s Bruce Sager’s poem, also his tongue-in-cheek critic’s take on that poem). A man adopts a Houdini of an octopus when he’s not quite ready for human companionship (that’s Ann Philips’ microfiction). A dead mouse’s odor slips between a couple and elicits a tiny, poisonous deception (that’s Jenny Keith’s sly story). And a child, unsure of the meaning of “adultery,” decides it means playing an adult and confesses her many sins to a nonplussed priest (that’s Ann Bracken’s sweet, funny poem). All those writers and more will read their work at the launch event for the Little Patuxent Review’s summer issue, our tenth issue, on Saturday, June 18, 2 to 4 PM, held in partnership with the Columbia Festival of the Arts. Readers will also include Derrick Weston Brown, Erin Christian, Caryn Coyle, Barbara Westwood Diehl, David Evans, Susan Thornton Hobby (that’s me), Danuta Kosk-Kosicka, Laurie Kovens, Karen Sagstetter and Patricia Jakovich VanAmburg, plus Tara Hart, reading a poem about pretending, forgetting and remembering. Tara will also reprise her poem “Patronized,” which first appeared in last summer’s Spirituality issue and recently was recently awarded a Pushcart Prize. It’s hot outside, but it’s cool and dark here under our great-grandmother’s tables, playing make believe. Come join us. NOTE: If you like’d this republished work, check out LPR’s Issue 10: Make Believe https://littlepatuxentreview.org/sales/individual-issues-2/. Recently, Little Patuxent Review interviewed our deputy editor, Ann Bracken, about her new book of poetry, No Barking in the Hallways: Poems from the Classroom. Ann has worked with LPR starting with our inception in 2006. For the past 20 years she has taught children and adults, and those experiences serve as the inspiration for this new book. Little Patuxent Review: How have your experiences as a teacher influenced your writing? What aspect of education inspired you to write No Barking in the Hallways? Ann Bracken: I began writing my student poems when I taught high school in a psychiatric hospital. Many of the students were there because no other school had a place for them due to their emotional distress that resulted in a lot of difficult behaviors. What I learned in that job is that there are no “bad kids,” but rather awful circumstances that cause pain and trauma. Writing poems about my students helped me to understand them better and to treat them with the compassion they deserved. I wanted to write No Barking in the Hallways because I believe in the power of personal stories to help people understand complex issues, such as high-stakes testing. The emphasis on test scores negatively affects both teachers and students, especially those with special needs. For example, many of the young men I taught struggled with reading, but rather than accept help and move forward, they developed avoidance behaviors so they could look cool and tough as opposed to being labeled as dumb. Many of those boys were mechanically or artistically gifted, yet they were stuck in classes that drilled them on multiple-choice items so they could pass the high-stakes graduation tests. Because their grades were poor, they were not eligible for the technical classes where they could have blossomed. So for them, school was a place of frustration rather than a gateway to hope. As for my colleagues, many of them doubled-down on rigid, practice-driven activities just to cover material that would be on tests. I also had an administrator who bribed kids with prom tickets to take the test over again, even when they had passed, just so the school’s numbers would look better for the central office. LPR: How did this project differ from others you have done in the past? AB: My previous book, The Altar of Innocence, is a memoir in verse that deals with addiction, depression, and the struggle to claim one’s voice. That book has a chronological framework and each poem is based on a scene from my past. My new book features the stories of students and teachers I have known since I first began teaching. The poems are in a looser framework so that the reader experiences stories of individual children and teachers who struggle to find relevance in today’s increasingly standardized, rigid world of public education. LPR: Your poems feature the voices and stories of real teachers and students. Could you provide an example of a story that inspired one your poems? AB: “The Voices in My Ear” is based on an article I read by Amy Berand, a young teacher in a charter school who was being trained in a very robotic, harsh method of discipline called No Nonsense Nurturing. Amy worked in a middle school, and while she was being trained, she had to wear an earpiece so that she could hear the prompting from three coaches who stood in the back of her classroom and told her how to respond to students. I was struck by Berand’s description of the method, especially because she was equipped with an earpiece to hear the coaches but had no mouthpiece to answer them. The trio of coaches gave her short phrases to say and told her to stop expressing her emotions, to stop praising the students. I found the article very disturbing on a number of levels, chiefly because most teachers know the best way to help students learn self-management is to treat them kindly and to get to know them and their interests. A teacher should form a real relationship and show respect for the students as people. No Nonsense Nurturing trains teachers to act like robots who speak with pre-programmed responses rather than to engage with students as individuals. LPR: What changes do you feel need to be made in education to better reflect the experiences of students? AB: First, I’d eliminate most uses of the computer for students in the classroom—see this article on the push for competency-based education for my reasoning. Teachers would guide student learning using hands-on experiences to explore a curriculum based on research and age-appropriate objectives. The curriculum would be decided on a state level, with each school system free to adapt parts of it according to local needs. Art, music, and physical education would be as important to the school experience as reading, writing, math, social studies, and science skills. The Common Core curriculum, PARCC, SBAC, and all standardized testing would be eliminated. No more Teach for America. No more charter schools and vouchers. Higher pay for teachers. Local control in the hands of elected school boards would be the norm. Most of all, we would be guiding our students to become thoughtful, kind, informed citizens and treat them with dignity and respect. LPR: How can we better meld the arts with education? AB: If we value creativity, and our business folks are always searching for that quality, then we need to improve the opportunities for children to be creative. You can’t foster creativity with standardization, rigid curriculums, and corporate-designed lessons. We need to keep the arts—music, poetry, dance, visual art, and theater—in the forefront of our children’s education. Not only do the arts offer a variety of ways to express oneself personally, they also offer a chance to speak to issues in new and challenging ways. Most important, the arts offer all of us a way to imagine the future, to move beyond what constrains us and to create a new vision for society. Instead of cutting the arts, we should be expanding them. 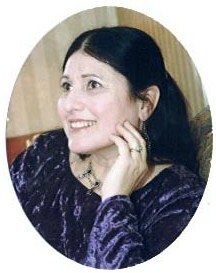 If you’d like to know more about Ann and her work, please visit her website at www.annbrackenauthor.com. Ann’s launch reading for No Barking in the Hallways: Poems from the Classroom is on February 24th at Zu Coffee in Annapolis, MD, from 6:30-8:30 pm. Diane Wilbon Parks will also be featured at the event, part of the reading series The Poet Experience. Sarah Katz. Photo Credit Leanne Bowers. While literary journals abound, few take the time to focus on the experience of people with disabilities, both in content and the accessibility of the medium. The Deaf Poets Society, is an online literary and arts journal created by and about people with disabilities. The journal’s website offers audio readings of all text, including prose and poetry submissions, and written descriptions of visual art pieces. But the mission of Deaf Poets Society goes far deeper than just making an online journal that is accessible for all. As stated in their manifesto, The Deaf Poets Society “look[s] for narratives about the experience of disability that complicate or altogether undo the dominant and typically marginalizing rhetoric about disability” and explores the complexity of identity. Many of the pieces in The Deaf Poets Society’s volumes investigate the interplay of race, sexuality, and gender with disability, challenging the dominant narratives our culture perpetuates. 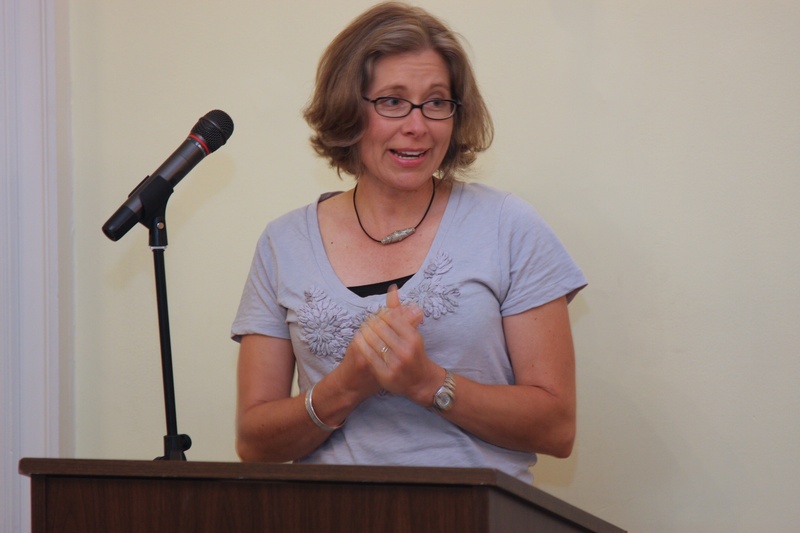 Co-Founder and Poetry Editor Sarah Katz talked about the literary journal’s mission and origins. JF: What impact do you hope to have on the representation of people with a disability? SK: Life with a disability means something different to each person. Those differences are meaningful–whether they stem from identifying as black and disabled, or queer and D/deaf, or indigenous and crip. Those differences make up different strands of a larger web of a disabled life that we share in common. Understanding and communicating that complexity will foster a dialogue that I think we haven’t had in a long time. It’s my hope that The Deaf Poets Society will start to crack through that wall, and open disabled and able-bodied readers alike to the idiosyncrasies of disabled life. JF: The journal also acknowledges what it is like to be a member of multiple marginalized groups and the pressure to package oneself into a single identity. How do you think more artists can address this issue? SK: It’s important for artists to consider what they’re risking in their art or writing. What does your work mean in the larger context of humanity? Marginalized individuals, especially those with multiple identifiers, have so much to offer to the conversation–given how few are canonized and included in anthologies. That said, there are so many authors and artists who are doing that work of being an advocate for multiply marginalized groups and people–Leroy F. Moore, Jr, an African American writer and activist dedicated to exploring the intersections between race and disability, Vilissa Thompson of Ramp Your Voice, Alice Wong of the Disability Visibility Project, Nicola Griffith, who co-founded the #CripLit chat with Wong (Twitter conversations about disabled characters in literature or the writing life as a disabled person), Raymond Luczak, who edited “QDA: A Queer Disability Anthology.” Leah Lakshmi-Piepzna Samarasinha, a queer, sick, and disabled nonbinary femme writer of Burger/ Tamil Sri Lankan and Irish/ Roma descent, is a lead artist with the disability justice performance collective Sins Invalid, who works with Syrus Marcus Ware, co-director of the Toronto disability justice collective, PDA (Performance/Disability/Art). 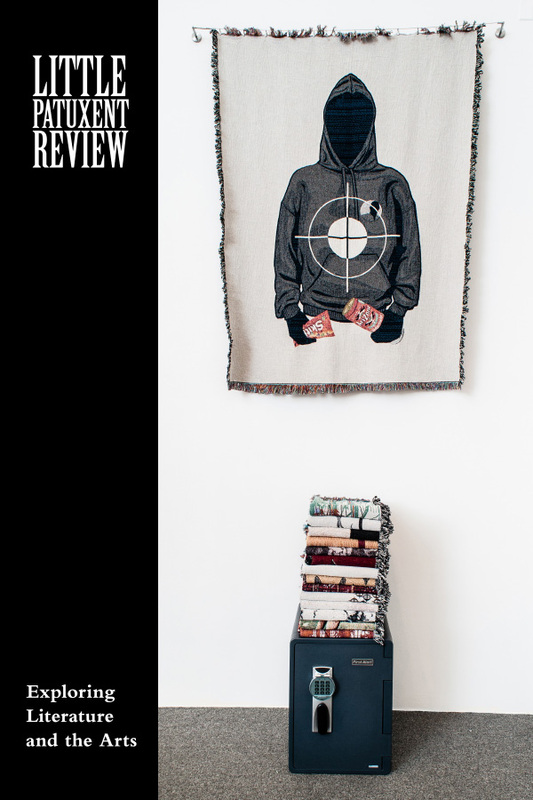 Wordgathering, Breath & Shadow, Tiny Tim Literary Review, Rogue Agent, and many more literary journals are also doing some of this crucial work as well. JF: The journal focuses on making the content accessible to those with different disabilities. What steps do you take for your prose and art pieces? How can other journals make their work more accessible? SK: We try to make our journal as accessible as possible through various means. We provide alt text/image descriptions with all art and images, including author photos (which provides textual access to visual information for blind folks either using the computer, screen reader, or braille display); audio for all text on all pages of the website, with the exception of image descriptions; and finally, we offer a PDF of every issue in APHont, which is a sans serif typeface created by the American Printing House for the Blind (and is free for download on their website). We decided to offer PDFs of every issue for readers who might want to bypass navigating through the website to read the issue. All of these steps are pretty simple–a little time-consuming, maybe, but we request that each submitter send image descriptions, audio files, and any other necessary forms of access (such as captions for video), which makes our jobs as an all-volunteer staff easier. Plus, by engaging our fellow artists and writers in the process of making the journal more accessible, we’re contributing to and benefiting from a community that sustains all of us. JF: What works are you most proud of in your past issue or upcoming issue? SK: I am so pleased by every person we’ve published so far, but if I had to pick a few favorites, I’d go with Mary Peelen’s “Barometer” in Issue 1, and Travis Chi Wing Lau’s three gorgeous poems in Issue 2. For me, these poems are striking because of the sense of boundlessness and gravitas contained in their narrow contours. Both poets employ quiet, idiosyncratic voices that are dynamic and that feel omnipotent in their explorations of the disabled body. JF: What are your hopes for the journal’s impact? SK: I hope that The Deaf Poets Society becomes a home to all people with disabilities. While we might have different backgrounds and experiences, this is a community where, I hope, people are committed to learning from and honoring the other’s experience. JF: How can people support journals like Deaf Poets Society? SK: The Deaf Poets Society is an online journal of disability literature and art that produces six issues a year and offers programming in the form of writing workshops, readings, and exhibitions. Beginning with Issue 2, which was just released this month, we began paying our contributors. We hope to continue to pay contributors–this has been our goal from the start–but we’re completely reliant on donations. They’re not tax-deductible yet–we’re exploring the possibility of nonprofit status or obtaining a fiscal sponsor–but we can assure you that every dollar goes toward the costs of journal production and author and artist payment. Every dollar helps! Learn more at www.deafpoetssociety.com/contribute. JF: What else would you like to mention? Keep on the lookout for some exciting programming coming your way soon, including the first few DPS writing workshops, a reading, and an art exhibition! The Deaf Poets Society releases and issue about six times a year and accepts submissions on a rolling basis. More information on submitting work and guidelines can be found here. Support the journal by making a donation today.